Yogibeings is focused on Ayur Veda, which literally translates to 'science of life'. Yogibeings aims to bring the ancient Indian practice of wellness and nutrition that has been practised for thousands of years to our modern lives. 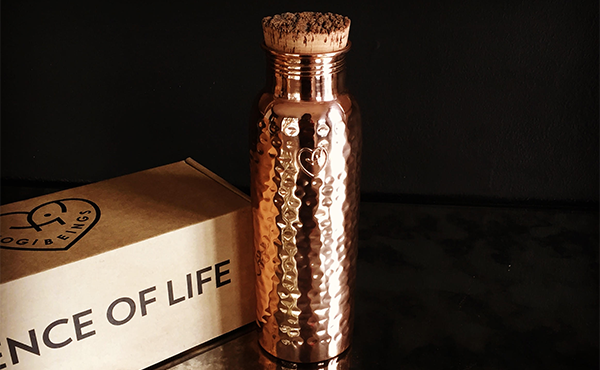 Its pure copper water bottles are not just pretty. Naturally anti-bacterial, anti-inflammatory and anti-oxidant, water charged with the copper ions is great for your digestion and joint health. It’s no wonder they have been used for eons in Ayurvedic tradition for overall wellness. The bottles are all handcrafted and each one is unique. Copper naturally ages over time (like your favourite pair of jeans) and develops a beautiful patina―the function though, is forever. Designed to age. Matures to perfection. See the latest products from Yogibeings, Stand 2P15, at AGHA Sydney Gift Fair, 23-26 February 2019.